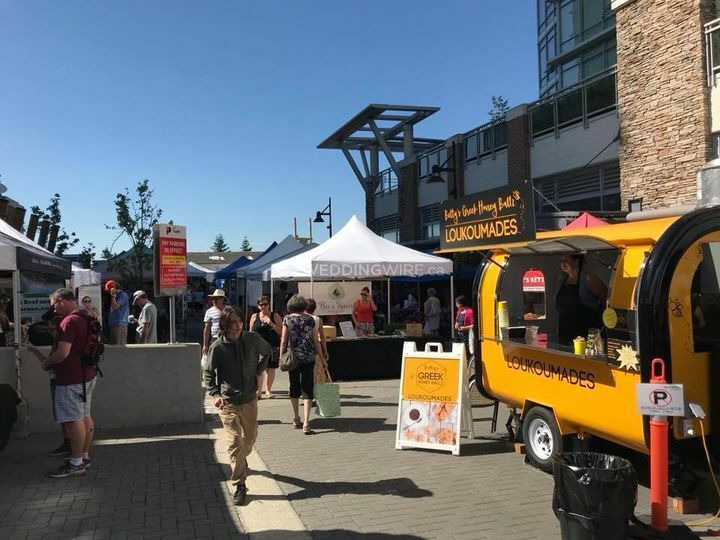 Betty's Greek Honey Ballz - Loukoumades ARE YOU A VENDOR? 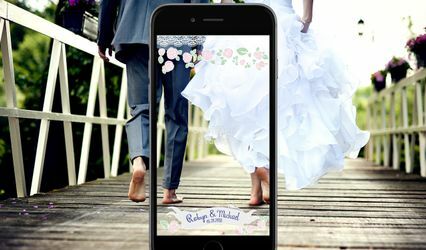 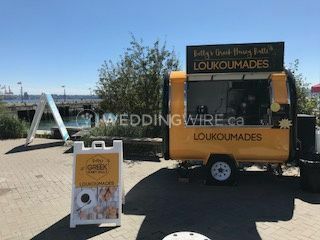 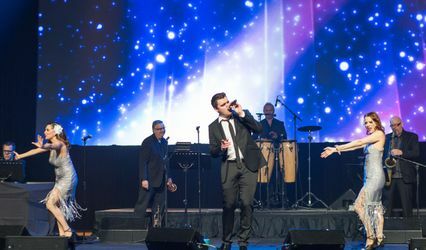 Located in Langley, British Columbia, Betty's Greek Honey Ballz - Loukoudmades is a company that specializes in providing weddings and events with delicious Greek-style donut balls called loukoumades, a sweet and original treat for after your reception. 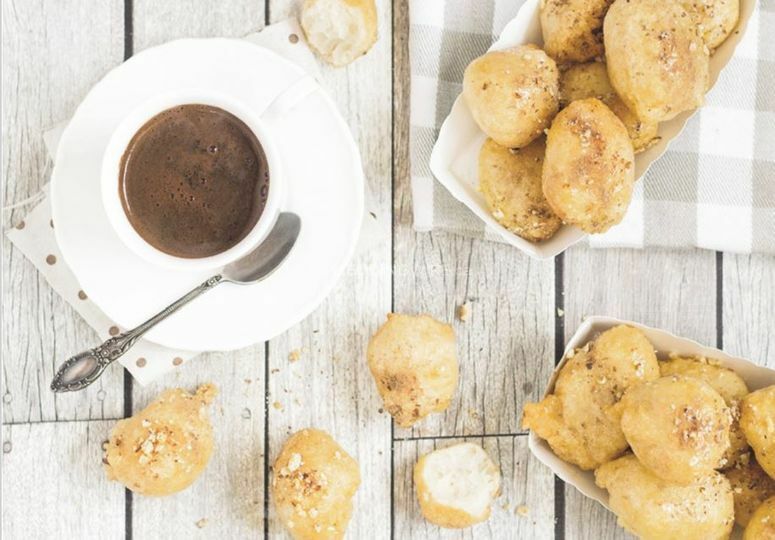 These dough balls are small and round and are deep fried to reach a crispy texture and drizzled in a delicious honey syrup! 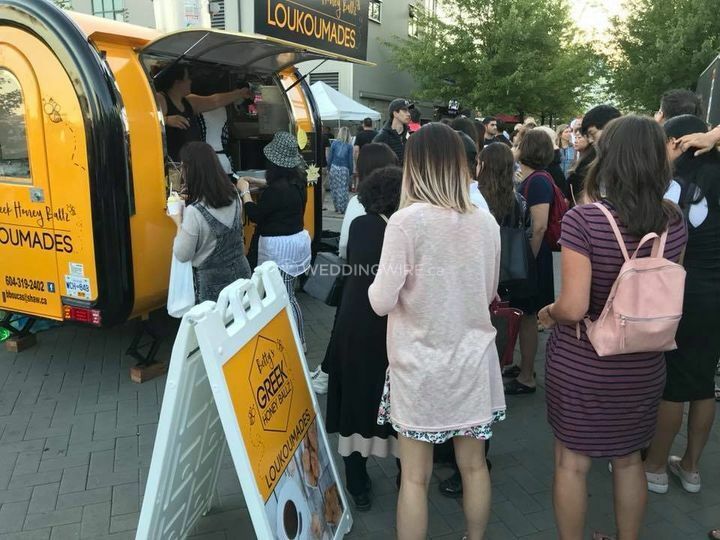 These scrumptious loukoumades are served from a small food truck, making these services ideal for outdoor weddings and events. 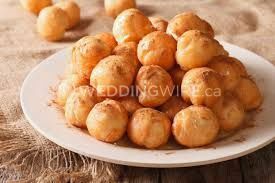 They are served in 12 ounce cups which can fit approximately 9 to 10 of these donut balls. 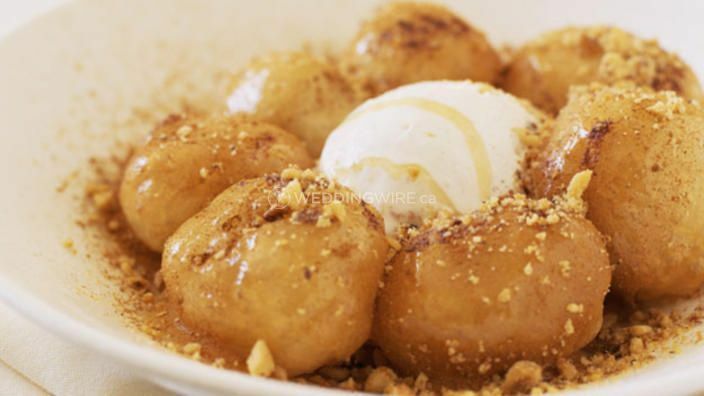 Toppings can include walnuts, chocolate sauce, sesame seeds, cinammon, cinammon sugar, ice cream and more. 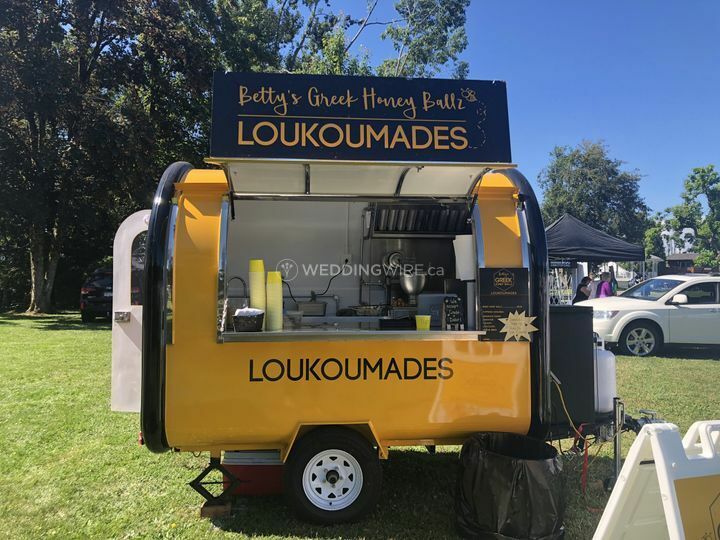 Betty's Greek Honey Ballz - Loukoudmades is also available for many other outdoor events, including farmer's markets, festivals, public holidays such as Canada Day and any other event, large or small, that you can think of! 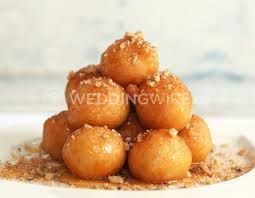 Contact Betty today to book your Greek donut truck!